Current militarized enforcement of the U.S. – Mexico border has resulted in a shocking increase in migrant deaths. 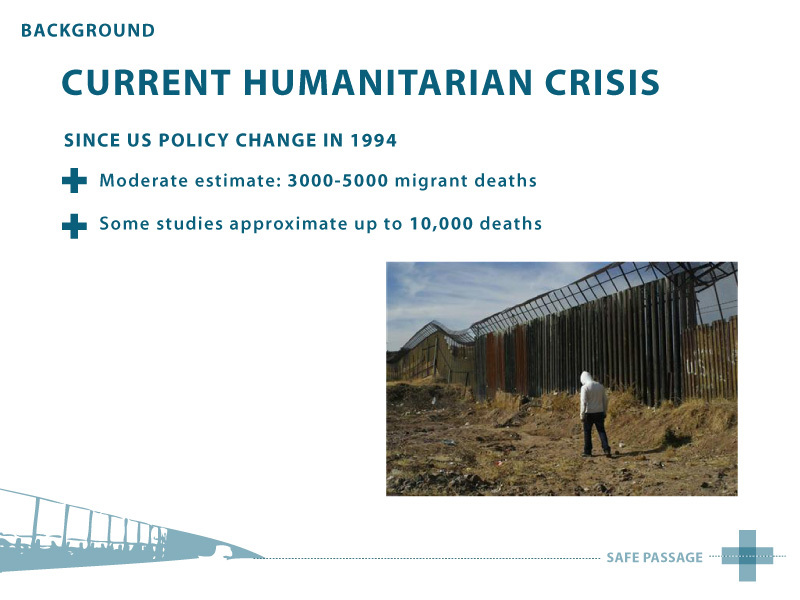 Researchers agree that while an exact number is impossible to achieve, most estimate that since "Operation: Hold the Line" policies took effect in 1994, between 3000 and 5000 migrant individuals have died attempting to cross the border. This number is equivalent to one person dying each day, and is most likely an under-estimation. This tragic loss of human life along the border constitutes a humanitarian crisis that continues to be enacted by the United States’ border control, enforcement and prosecution policies. 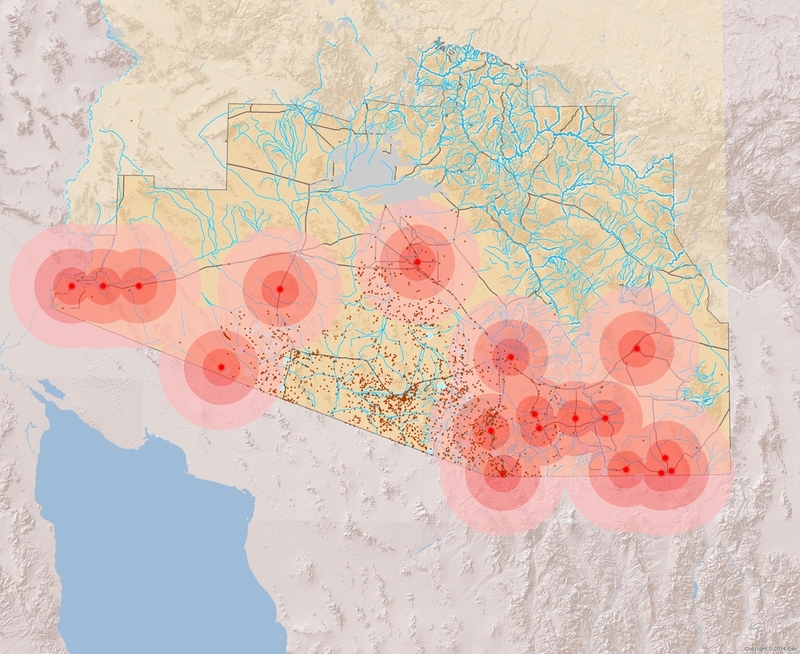 Many of the agencies tasked with enforcing these policies now utilize GIS, remote sensing and other geospatial and surveillance technologies to better track, identify and apprehend migrant persons attempting crossings. Safe Passage adapts these technologies to work for towards a more human-centered - v.s. nationalist centered - goal: to preserve human life. 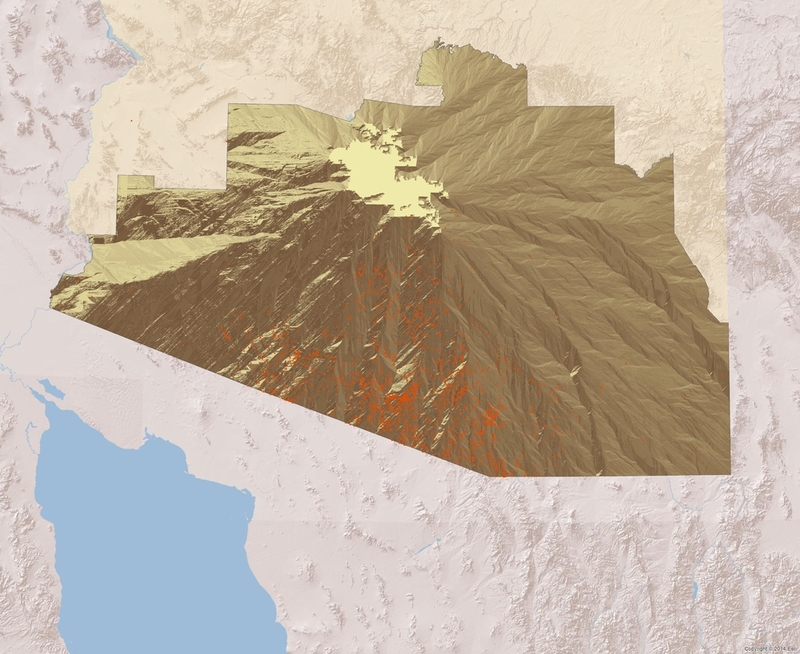 Inspired by the work of Humane Borders and the Electronic Disturbance Theater, two activist groups that utilize geospatial technologies as forms of “counter resistance” and humanitarian assistance, this project aims to use GIS to complement or enhance previously existing humanitarian endeavors happening along the borderlands.